Yellowstone officials have downgraded the Park’s fire danger to “moderate” as the 2016 fire season continues to wrap up. 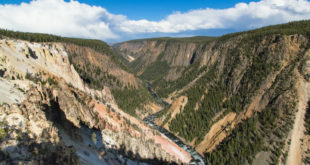 The fire danger in Yellowstone had been high for most of the summer, especially as the Maple Fire swelled just east of West Yellowstone, at times threatening the West Entrance Road. For several days, Yellowstone’s fire activity has declined, owing to cooler temperatures and increased precipitation. Indeed, according to Inciweb, there has been no reported fire growth since 9:35 a.m. MST Friday, September 23. 2016 marked the most significant fire season in Yellowstone since the 1988 fires swept through the Park. For comparison: in 2016, approximately 62,000 acres burned while in 1988, approximately 800,000 acres burned.